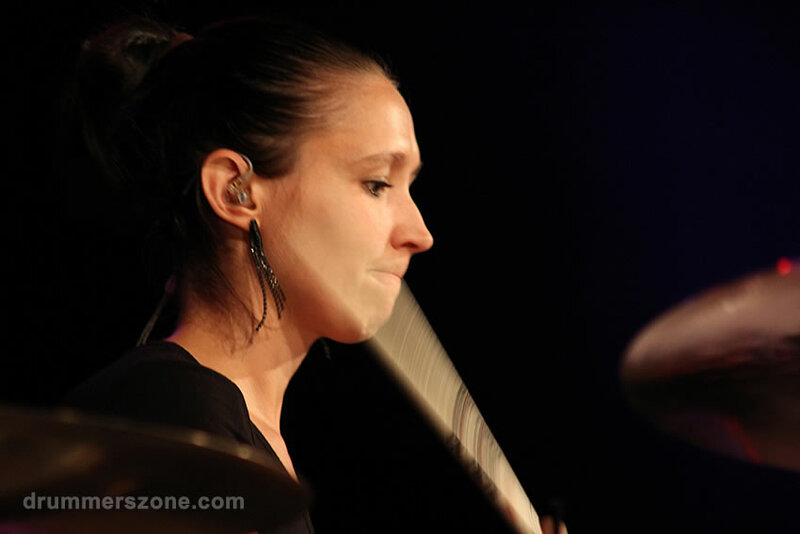 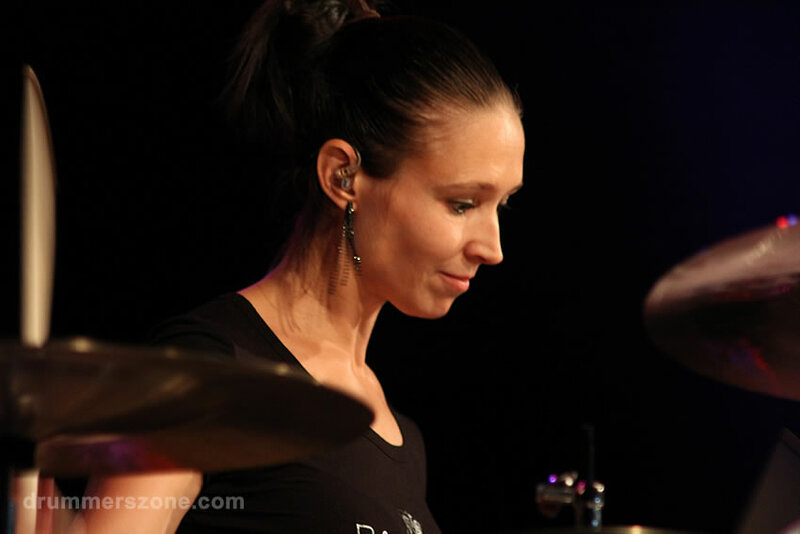 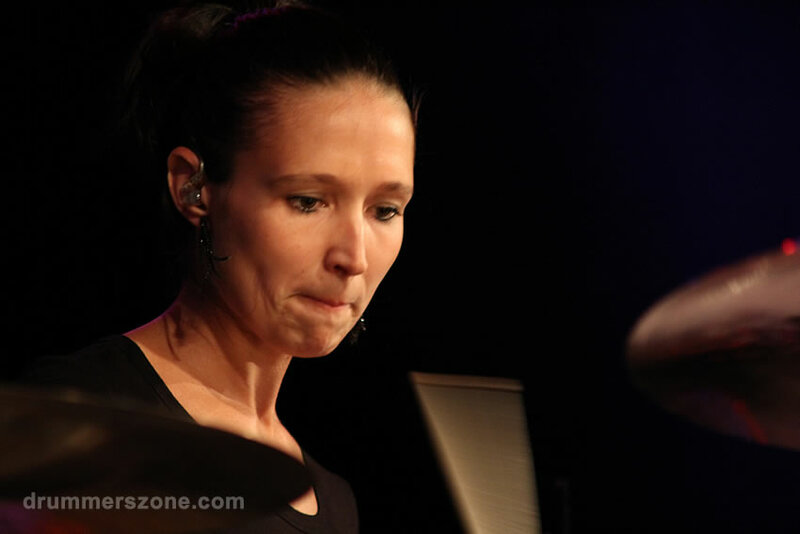 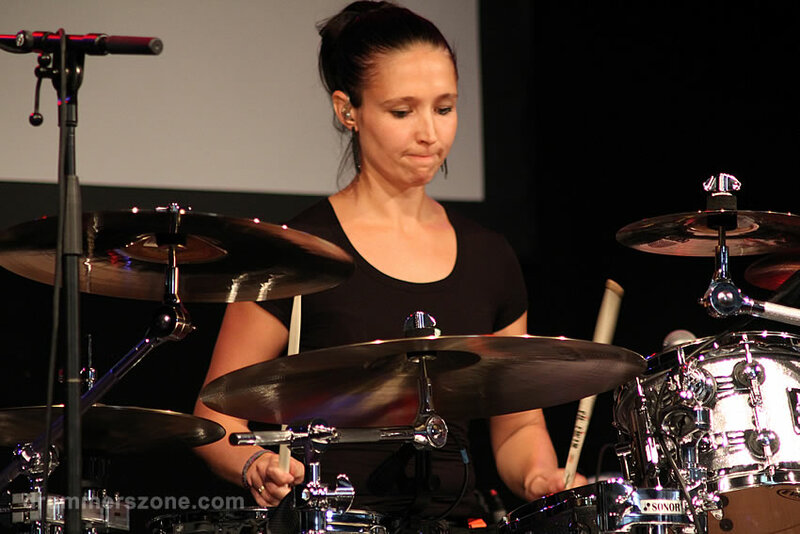 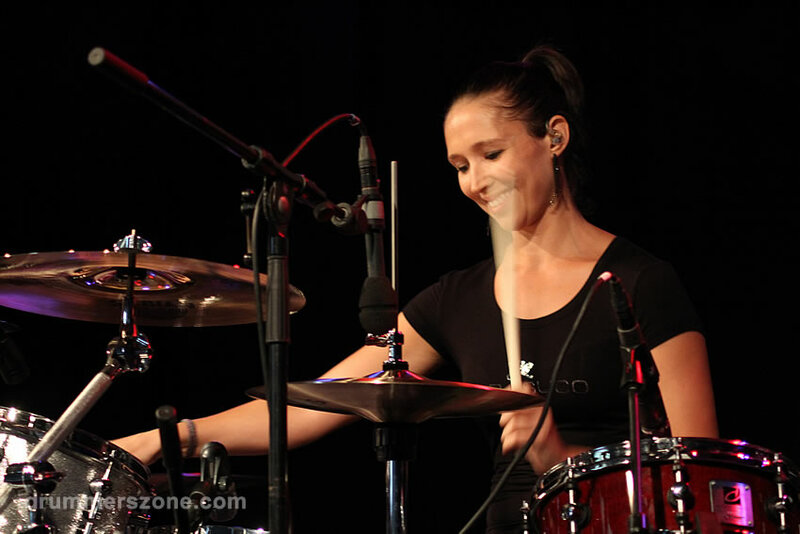 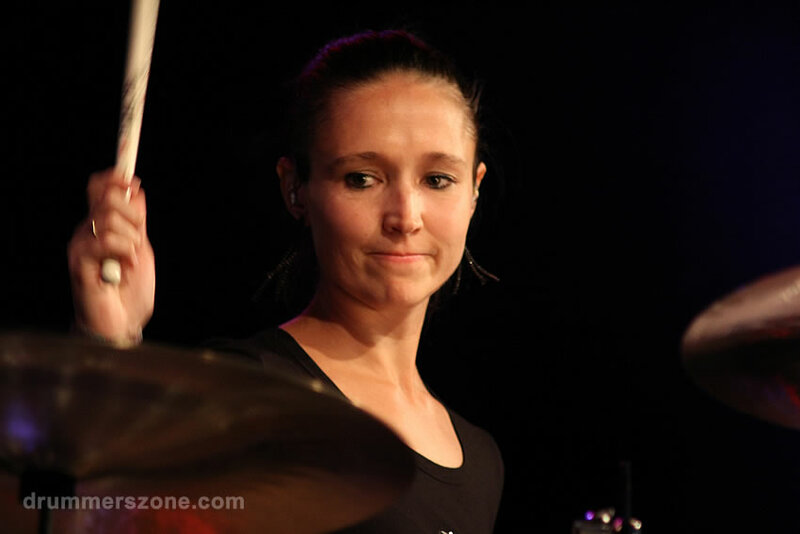 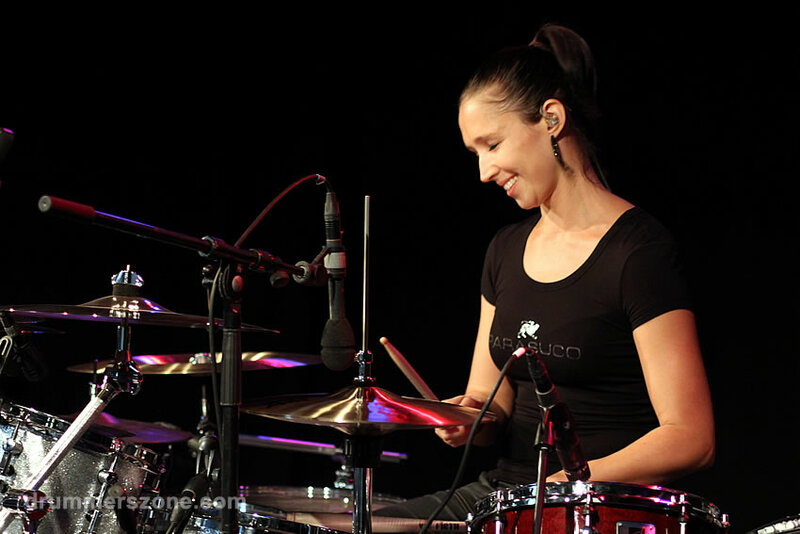 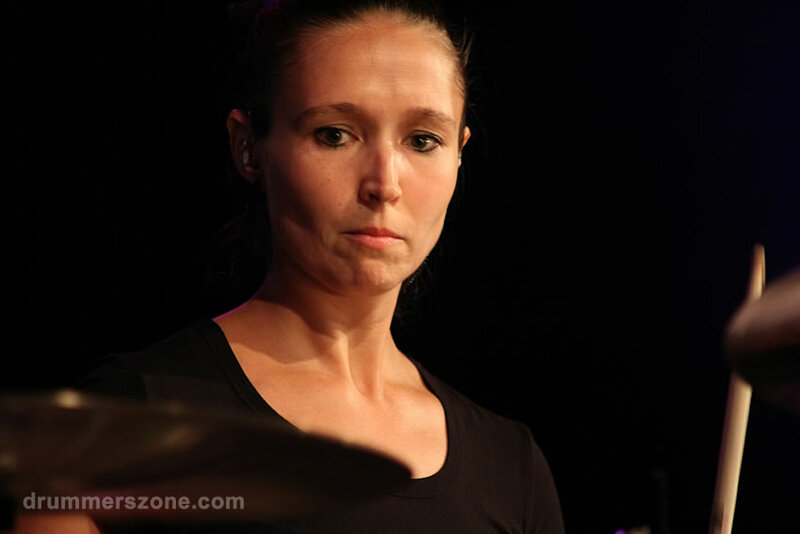 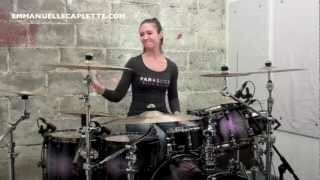 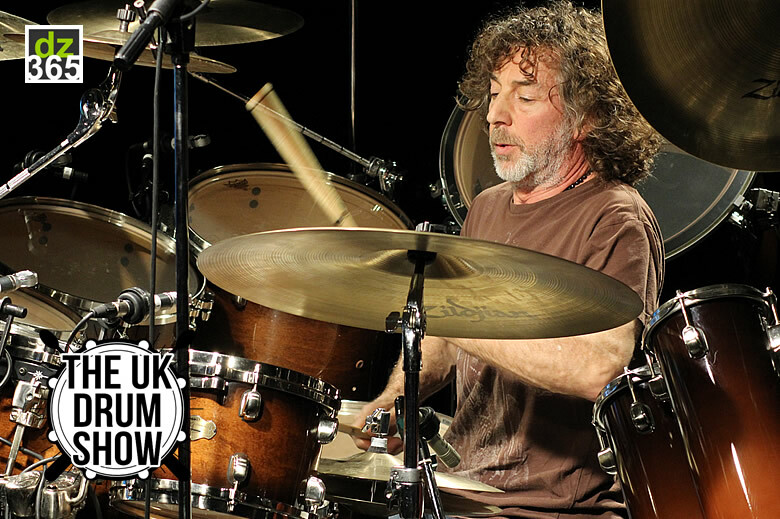 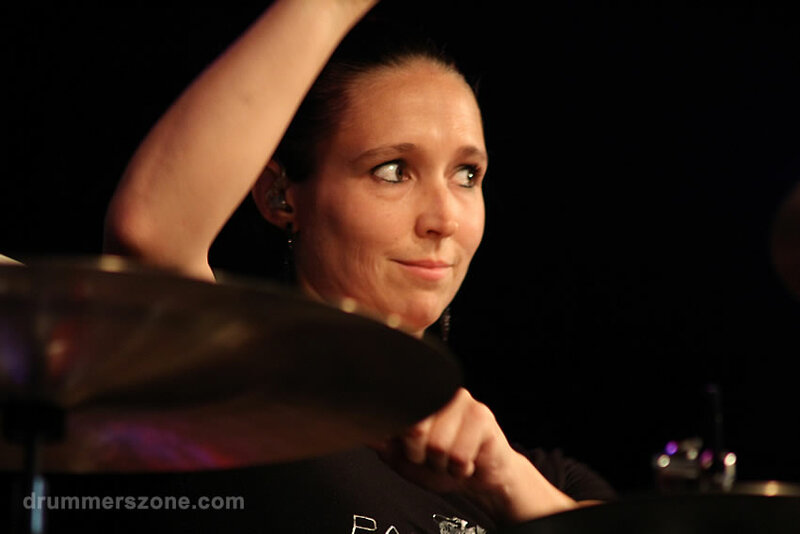 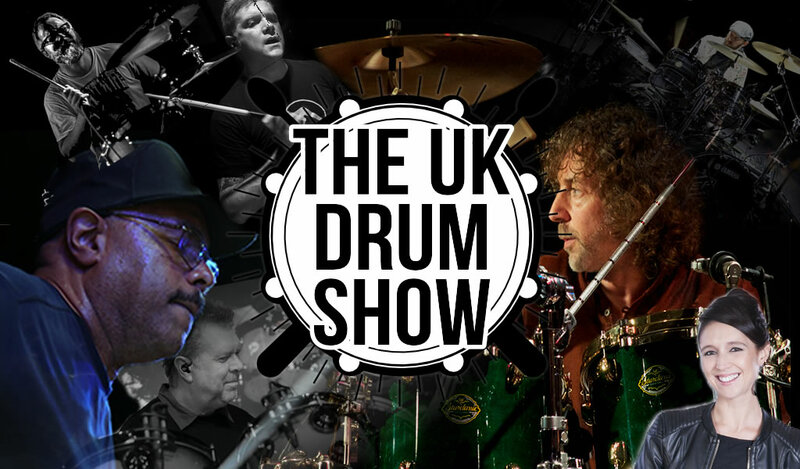 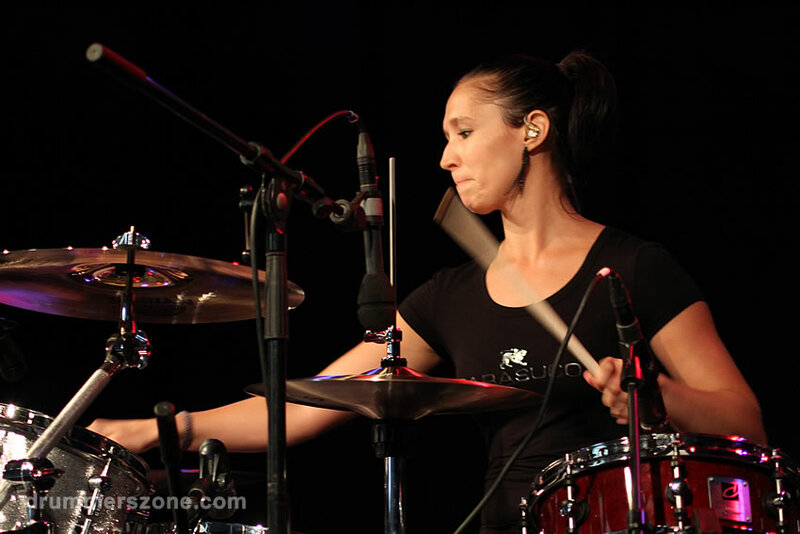 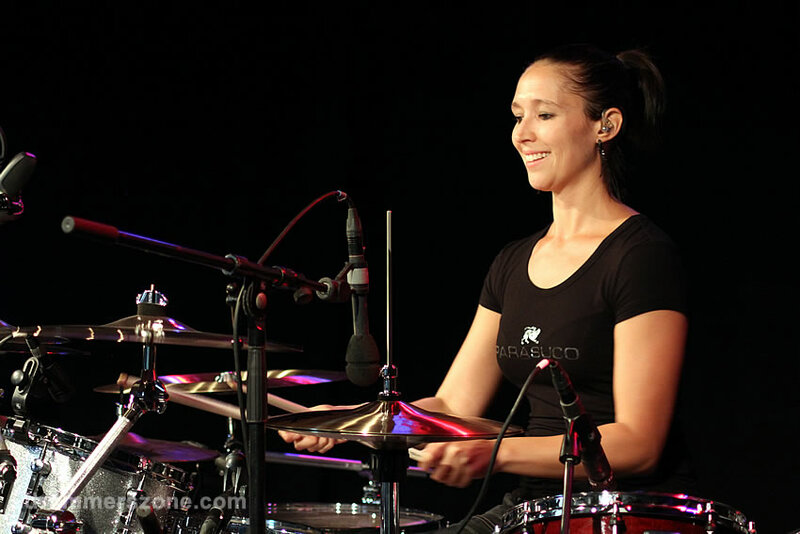 Emmanuelle Caplette at the Adams Drumworld festival, September 8, 2013. 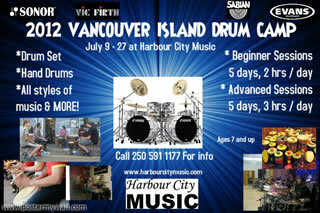 From drumcorps to cavalia and other... 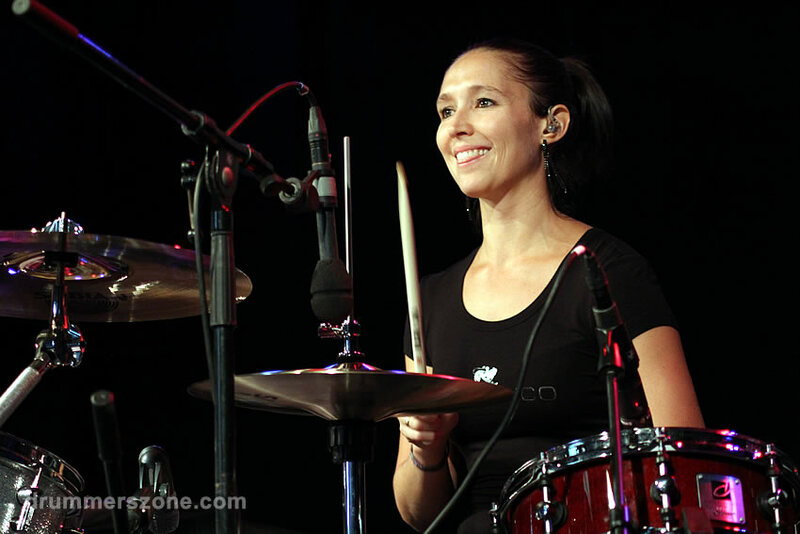 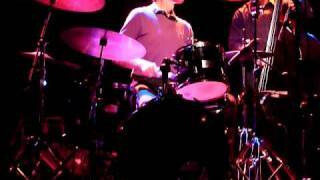 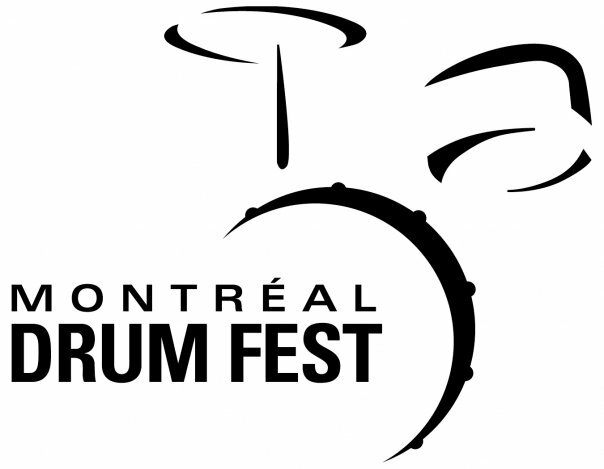 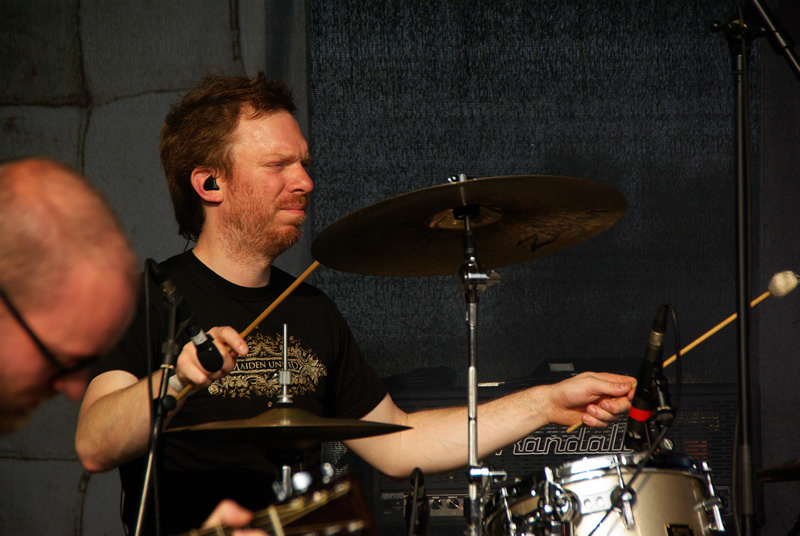 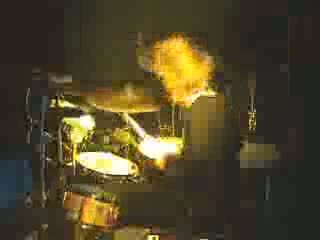 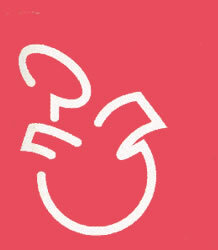 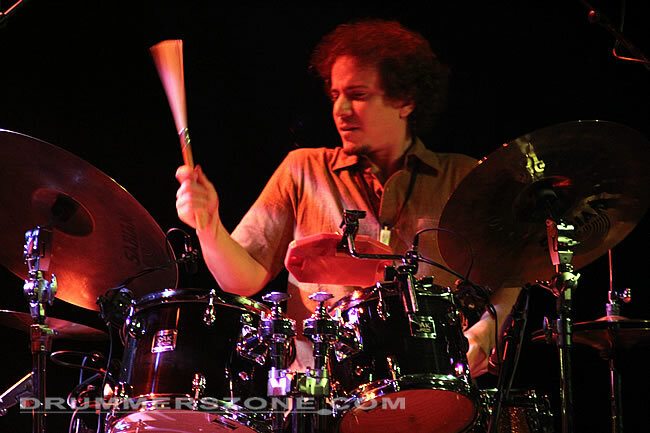 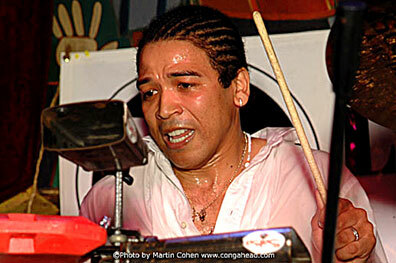 Some of you will remember Emmanuelle Caplette when she opened the Montreal Drumfest in 2002 with her Duo Drumologues. 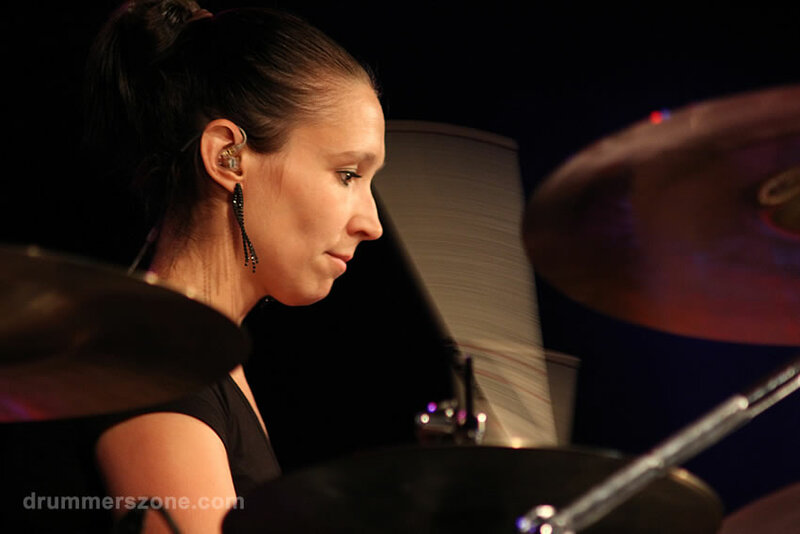 In 2003, Emmanuelle Caplette was chosen to participate at the same festival, reprensenting the Cegep of Drummondville at Yamaha's Rising Star Showcase. 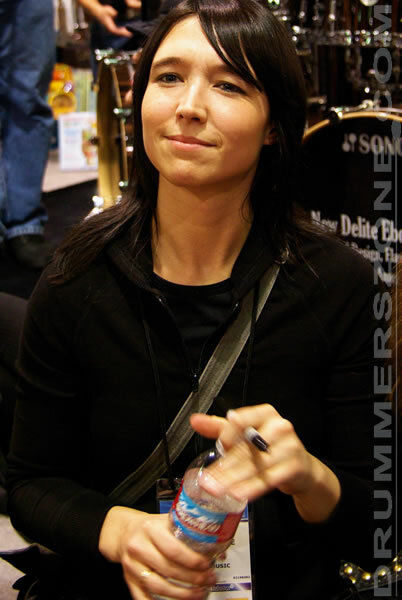 After studying with Paul Brochu at the University of Montreal, Emmanuelle Caplette toured with the famous equestrian show Cavalia across the United States. 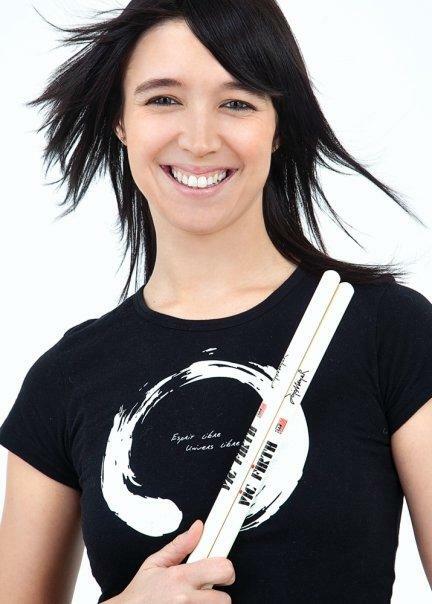 After the Cavalia experience, Emmanuelle Caplette joined the all percussion ensemble Insolita, created by fellow drummer Robert Dethier. 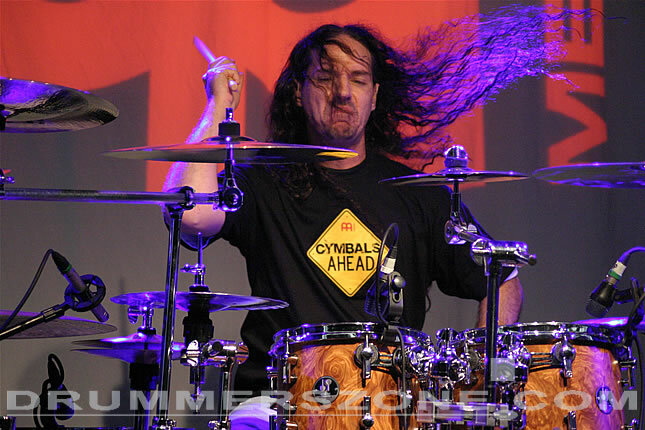 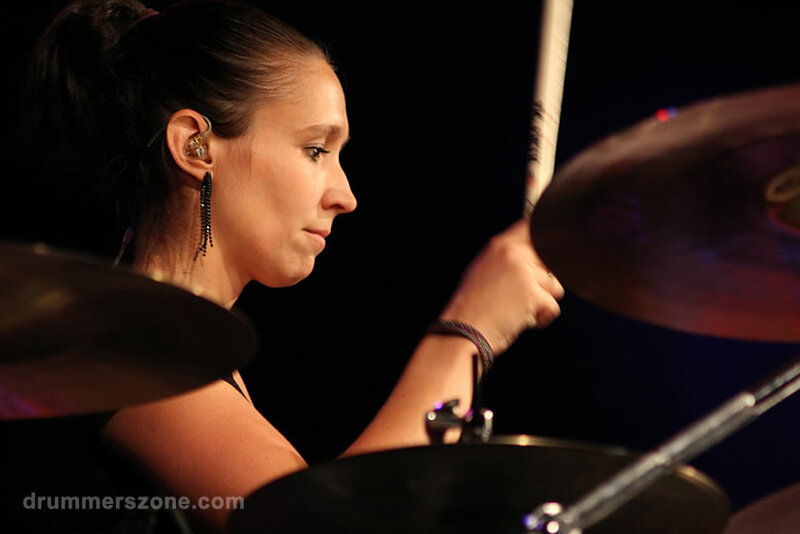 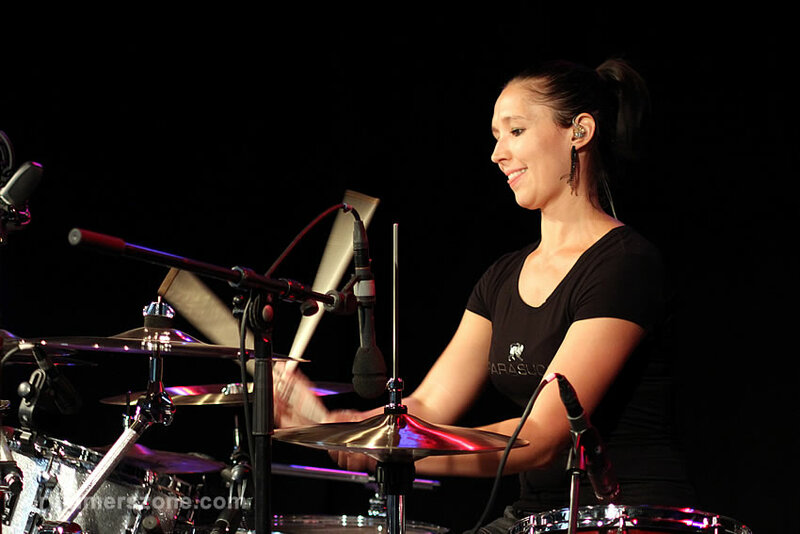 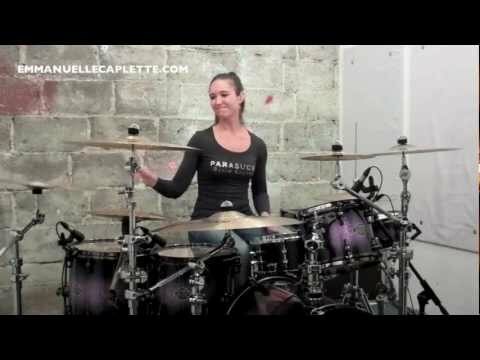 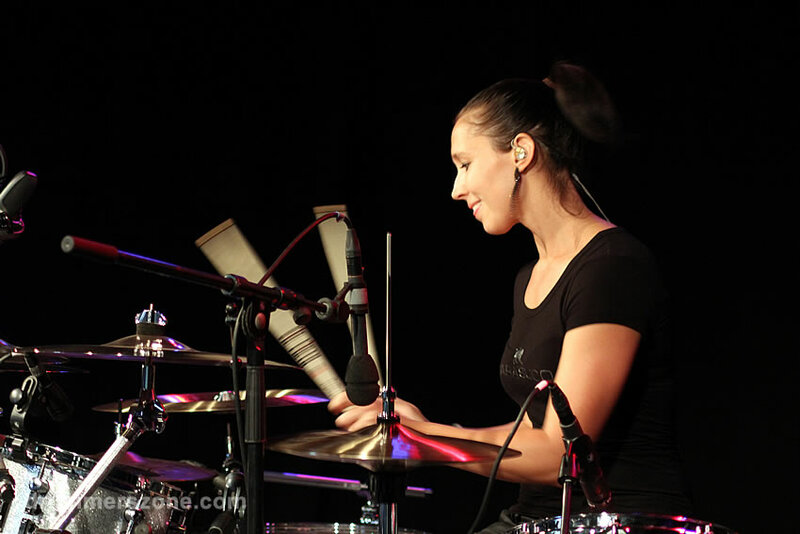 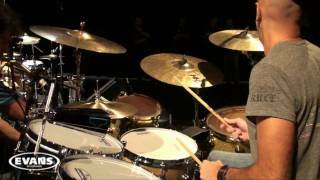 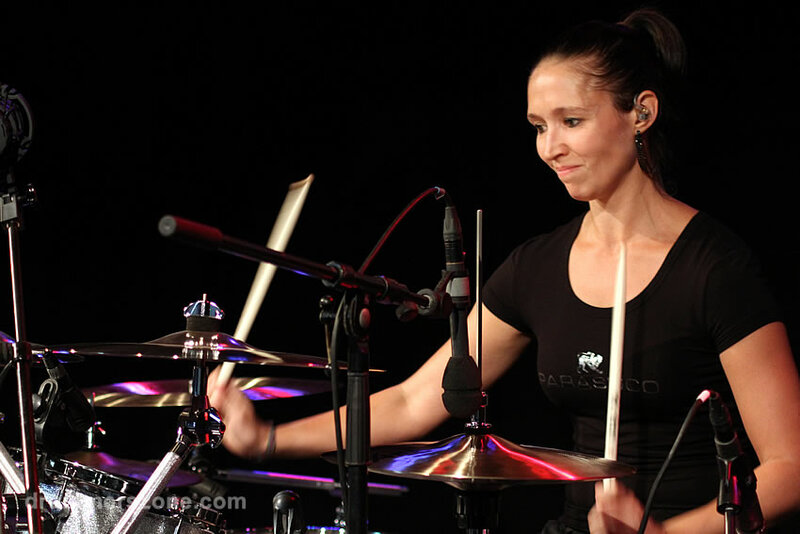 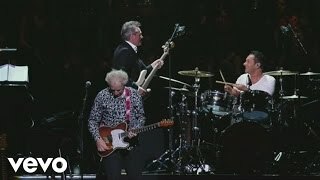 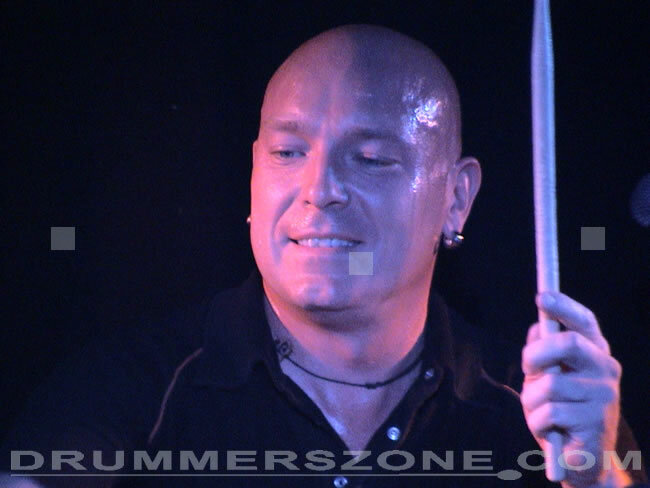 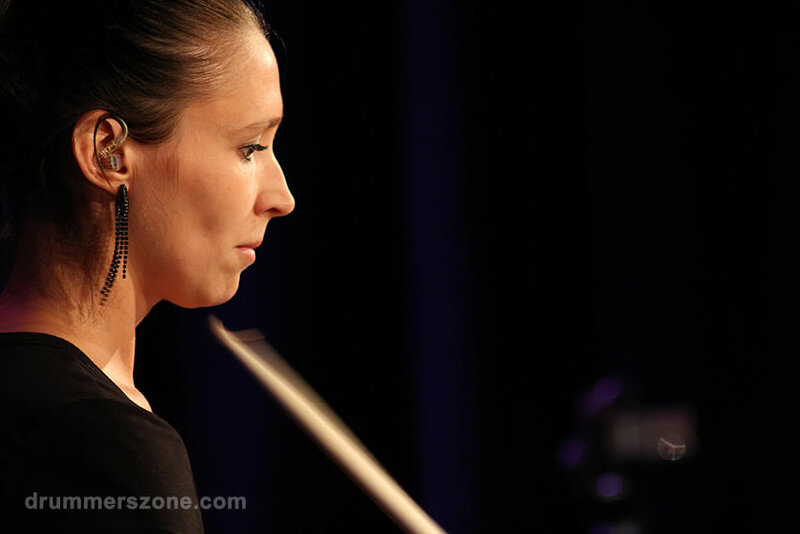 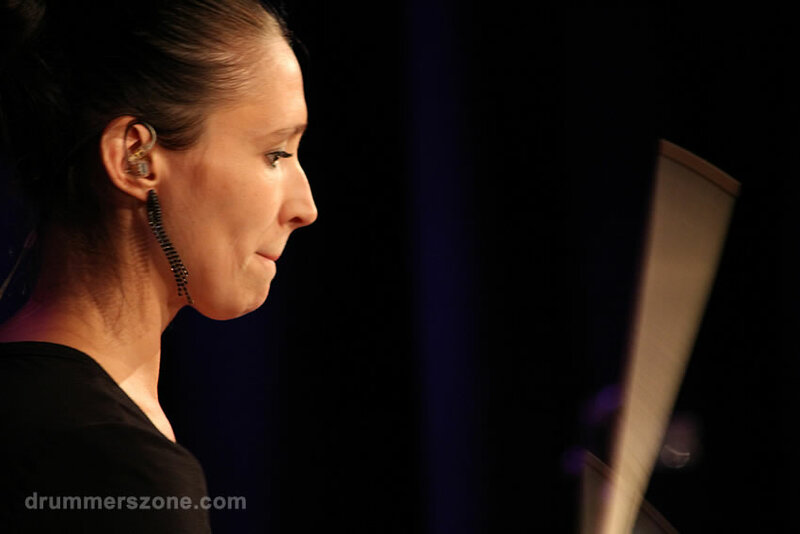 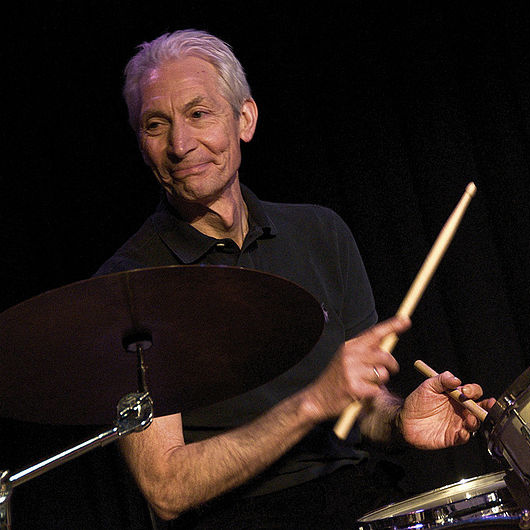 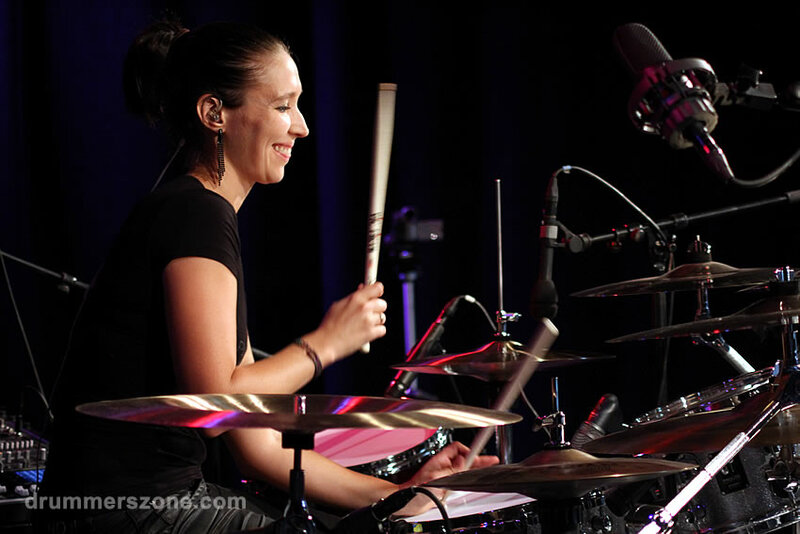 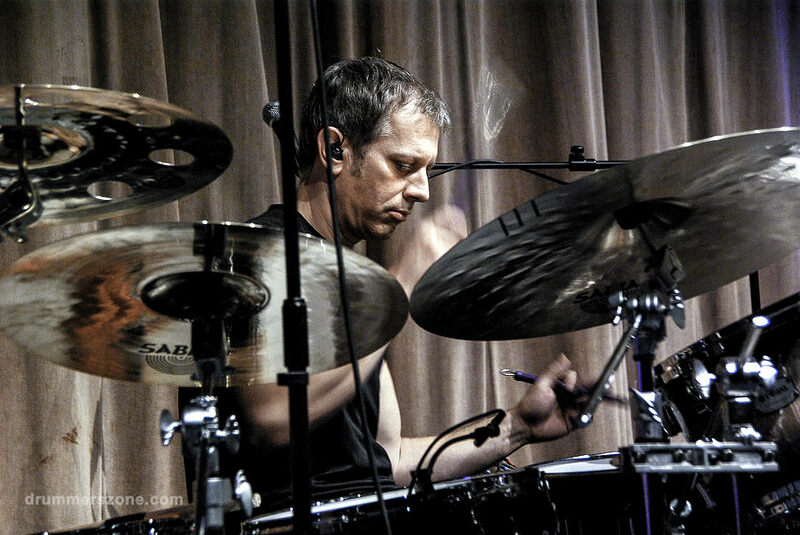 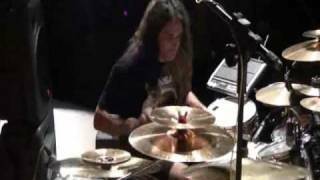 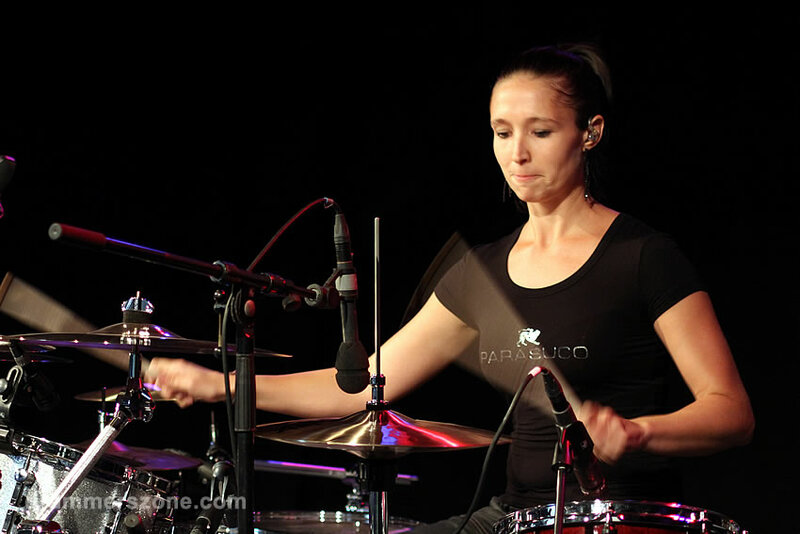 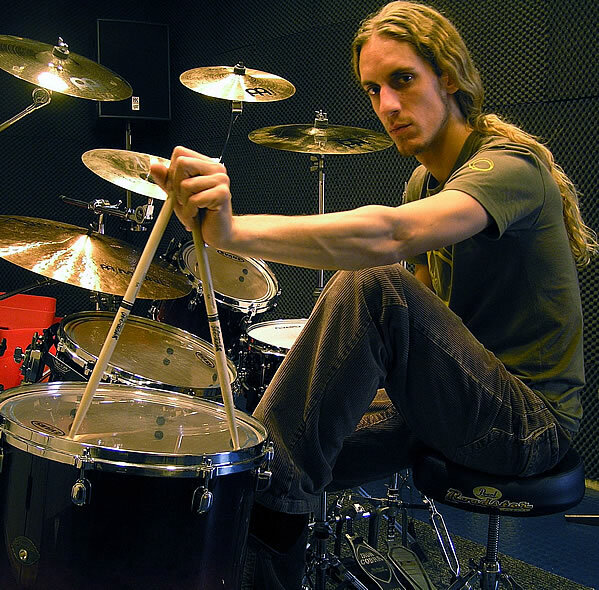 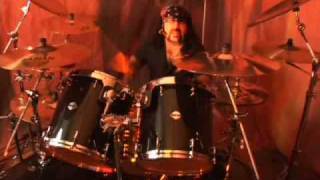 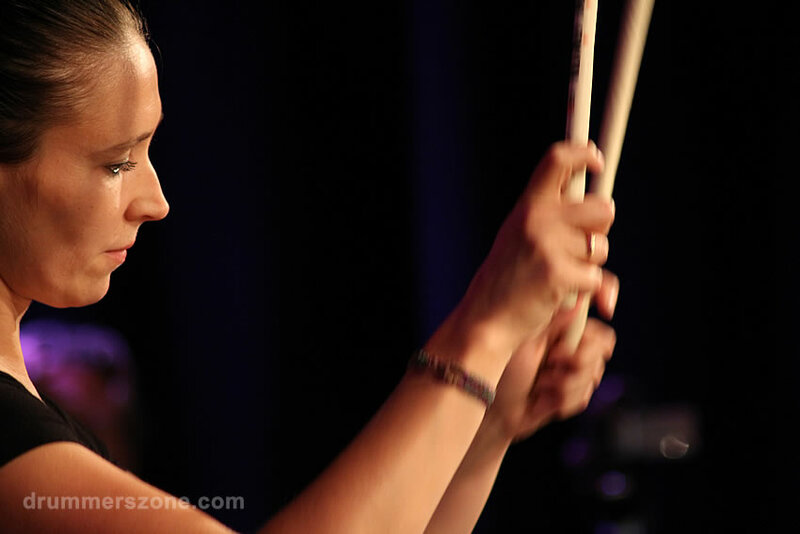 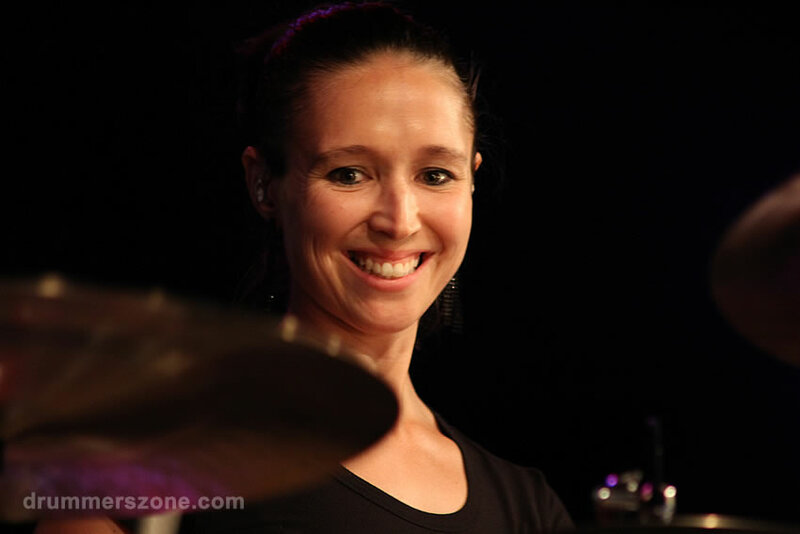 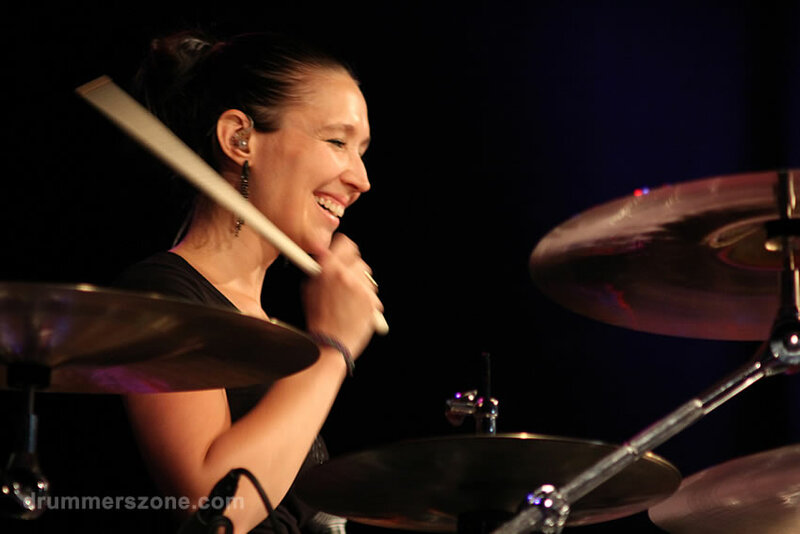 From the summer of 2006 in Drummondville, Emmanuelle Caplette shared the drummer's seat with Marc Laflamme in the popular musical comedy Les L��gendes. 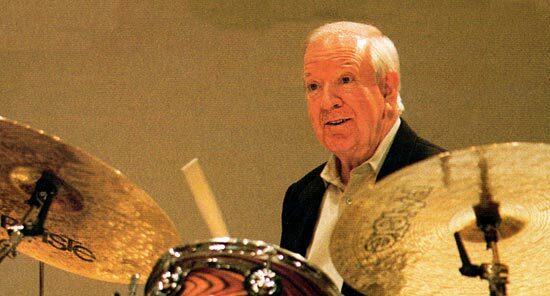 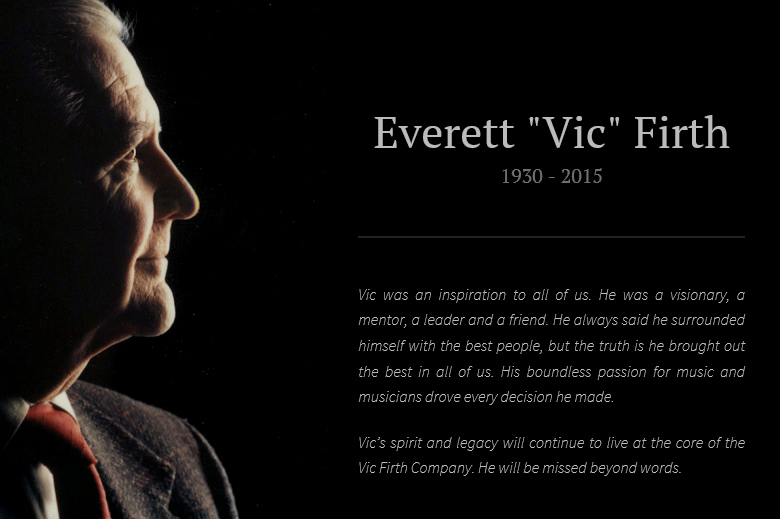 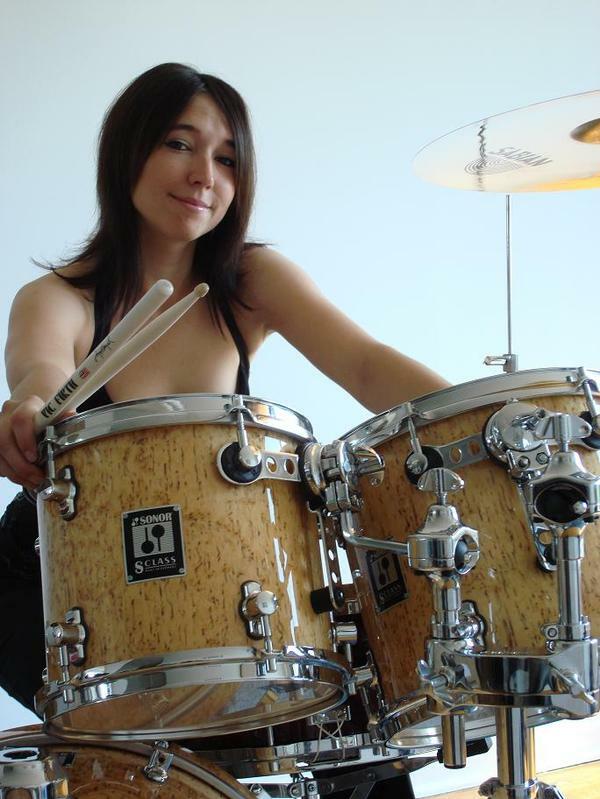 For eight years she played snare drum with different groups in Quebec. 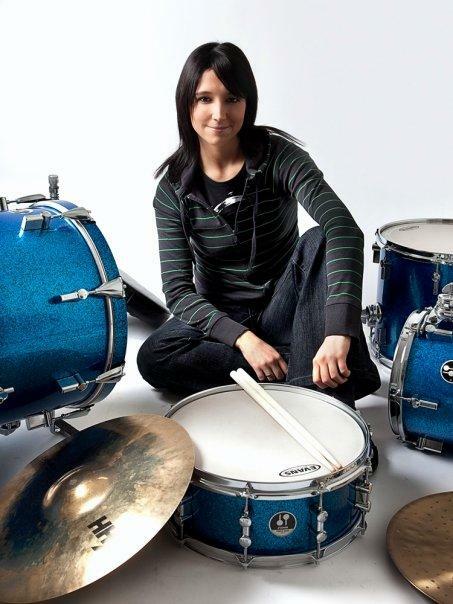 It is during these years that she won many awards including first place at the Provincial Individual Championship Interpretation of Quebec, four consecutive years in a row! 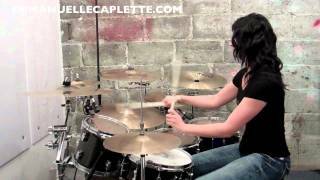 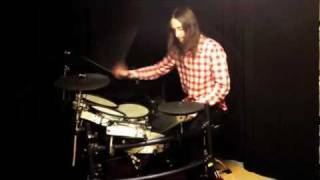 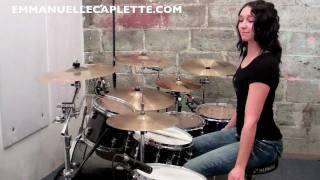 Upon her entry at Drummondville College, she studied drums in pop/jazz style with Camil B��lisle. 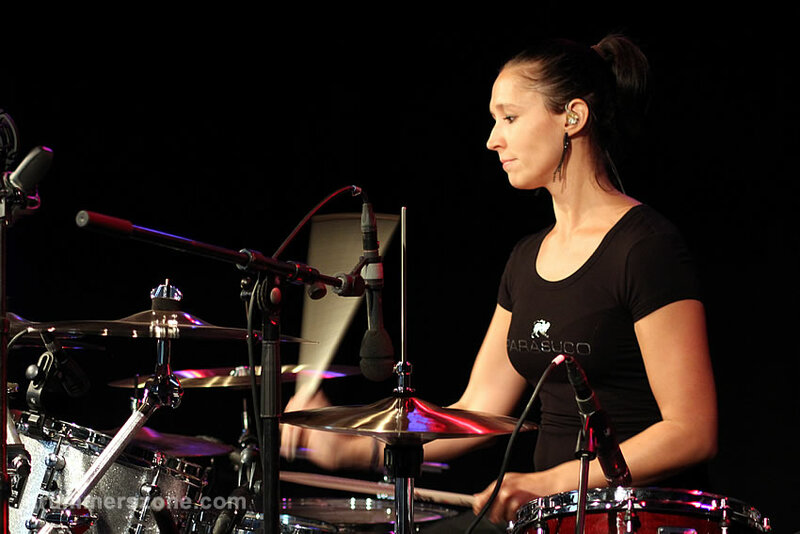 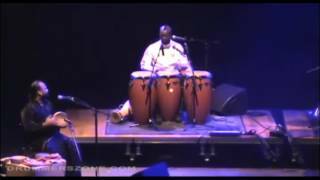 2001 was her first year at Drummondville College, and she participated at the ��C��gep en spectacle��, winning the prestigious award of l��OFQJ (Office Franco Qu��b��cois pour la jeunesse) with her duo Drummologue. 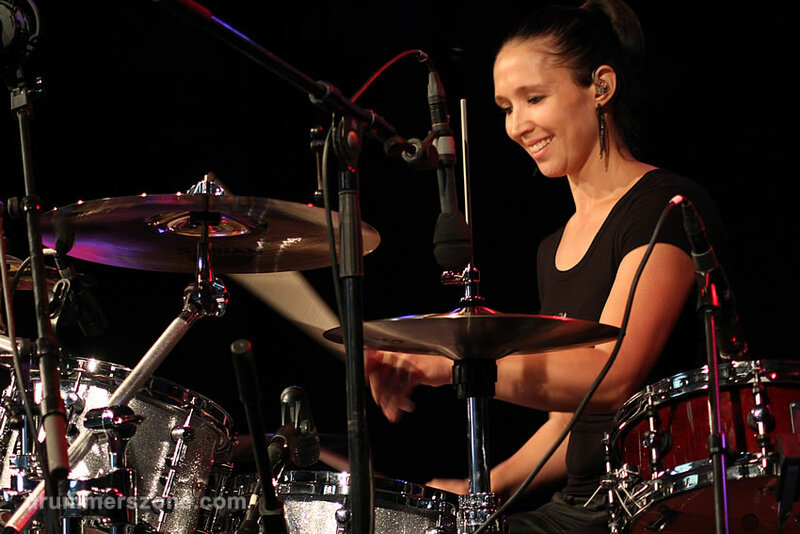 In 2002, She opened the Montreal Drum Festival with that same duo. 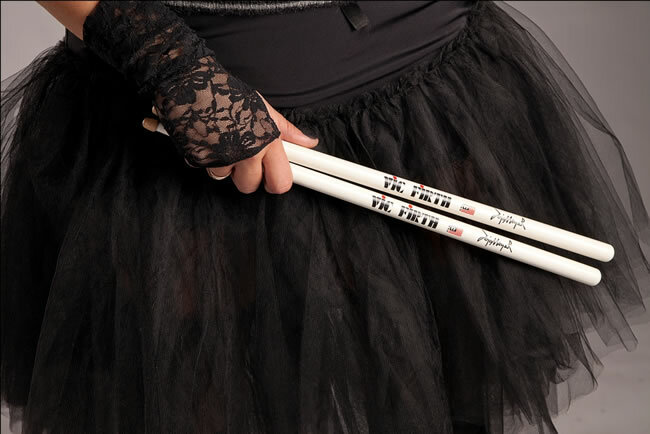 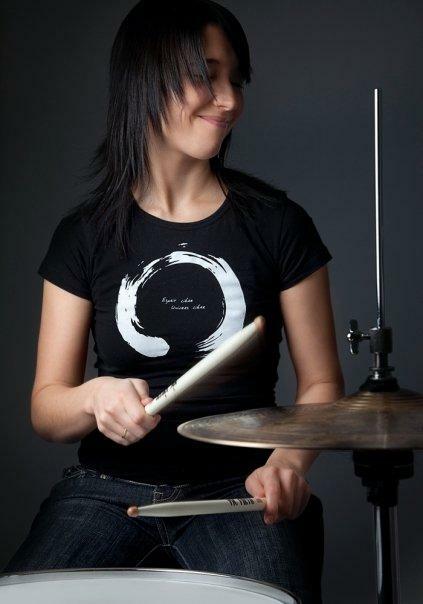 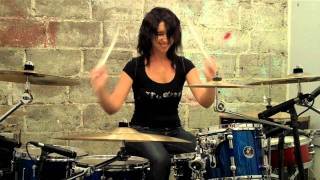 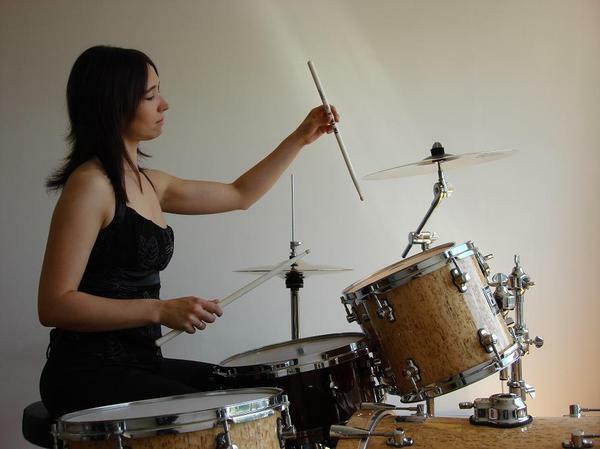 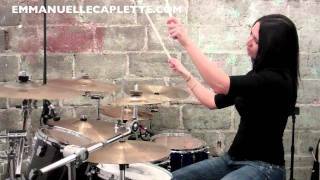 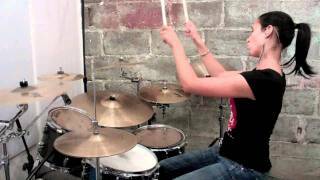 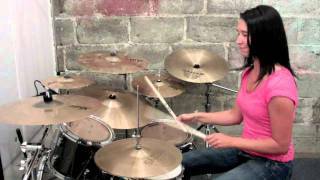 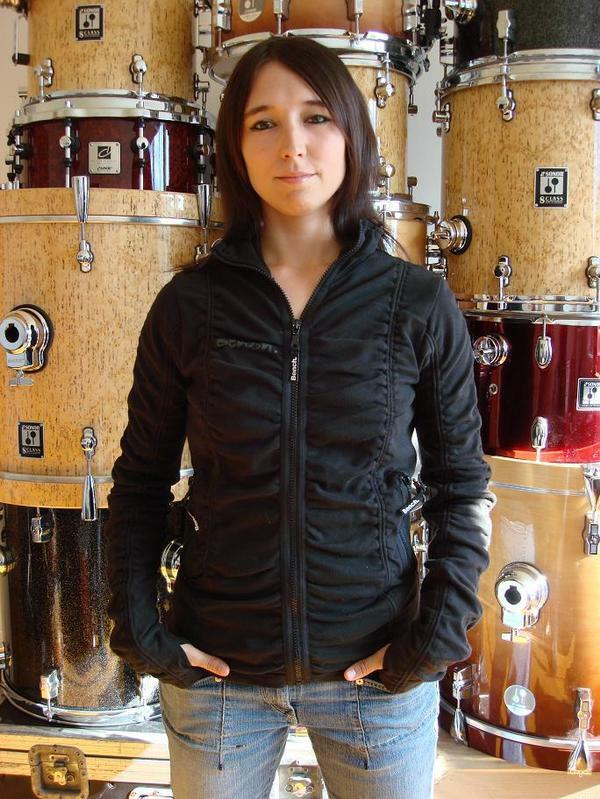 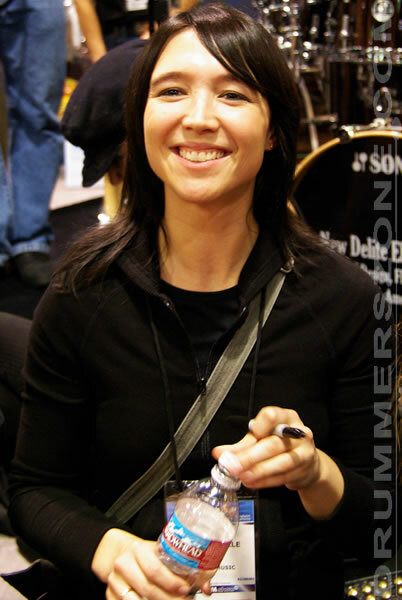 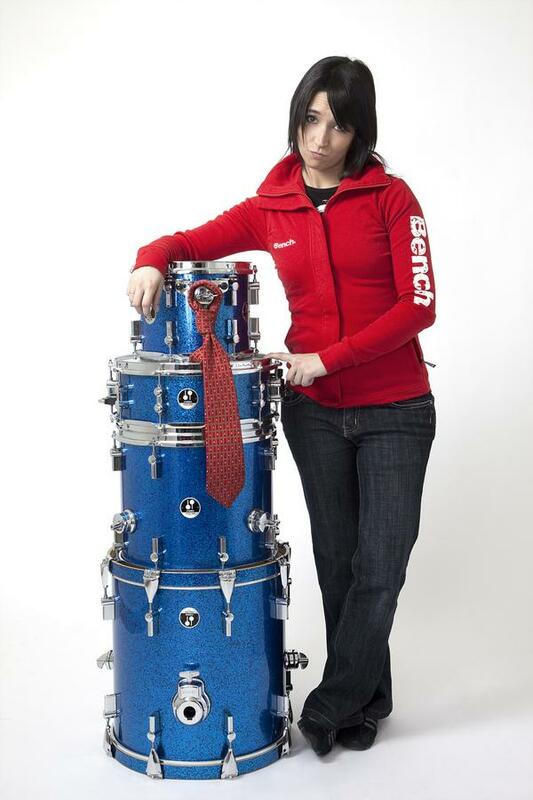 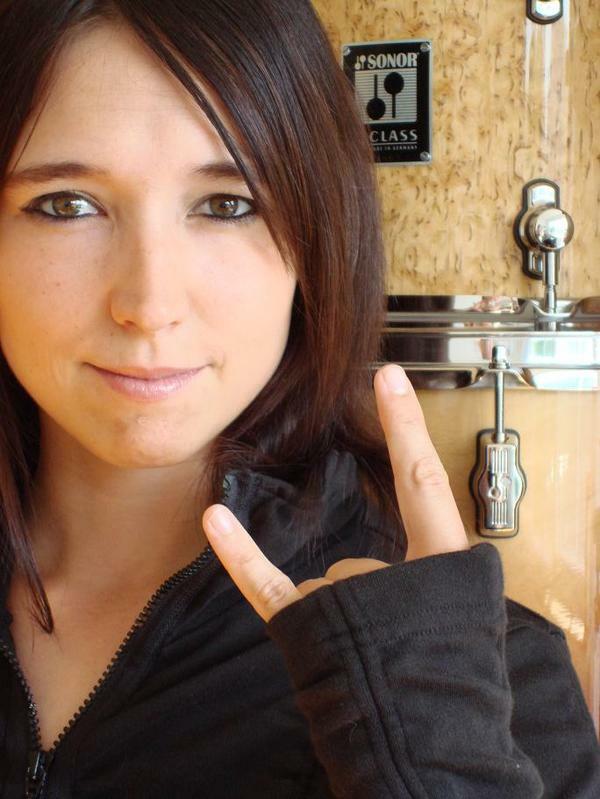 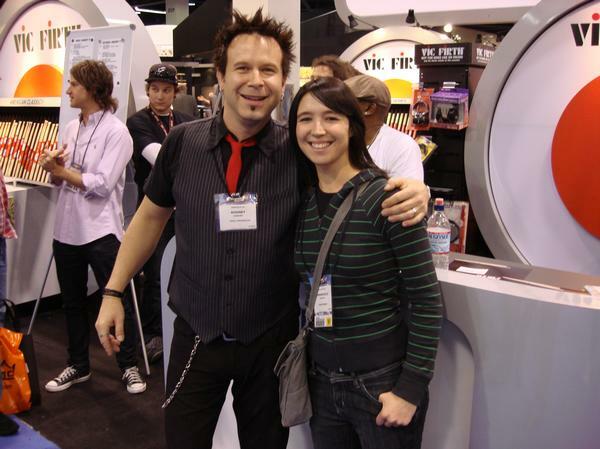 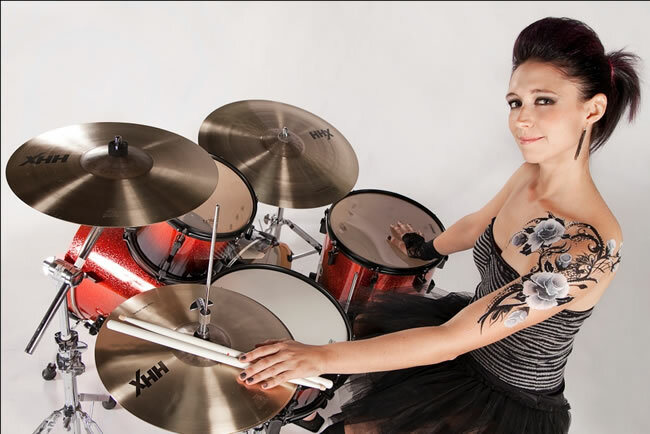 In 2003 she was chosen to represent Drummondville college in a rising star contest at the Montreal Drumfest. 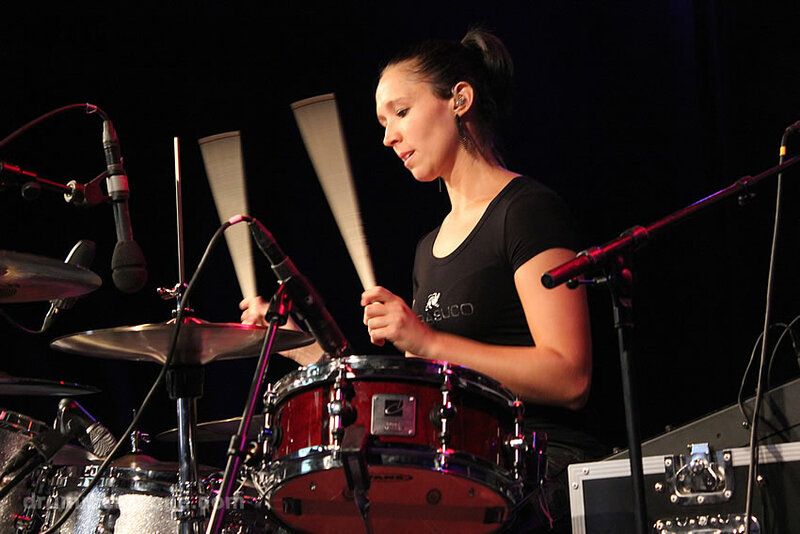 Following her college diploma she decided to continue her studies at the University of Montreal in pop/jazz interpretation with Paul Brochu. 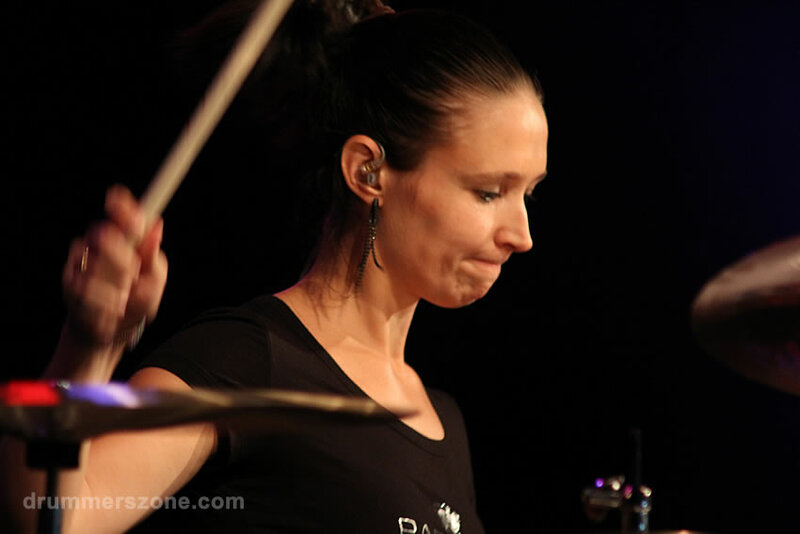 At the end of her first year at the University Emmanuelle was hired by the performance troop CAVALIA (for the American tour) which was composed by musical director: Michel Cusson. 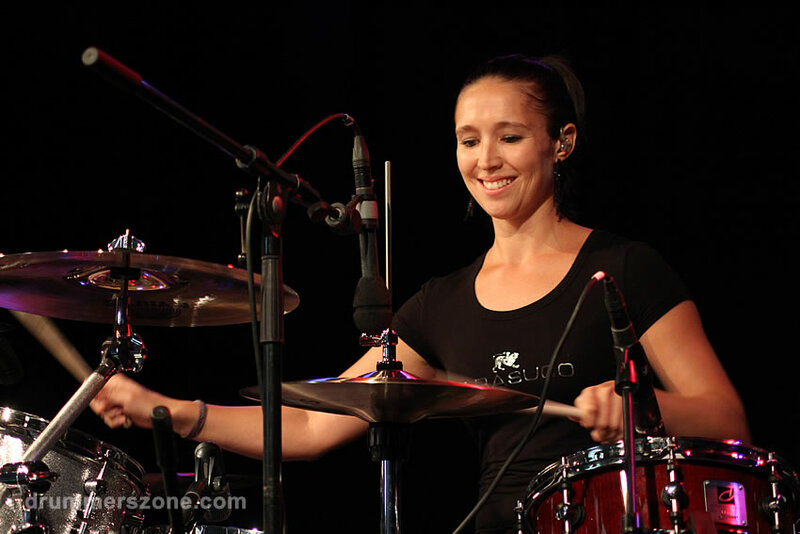 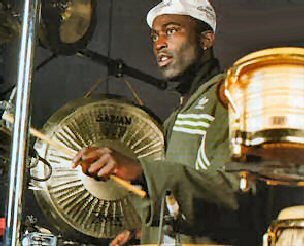 In 2006 the Cavalia tour ended and Emmanuelle joined the percussion troop INSOLITA. 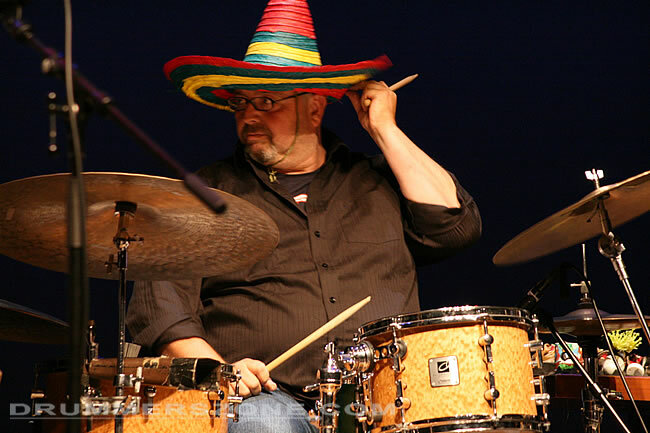 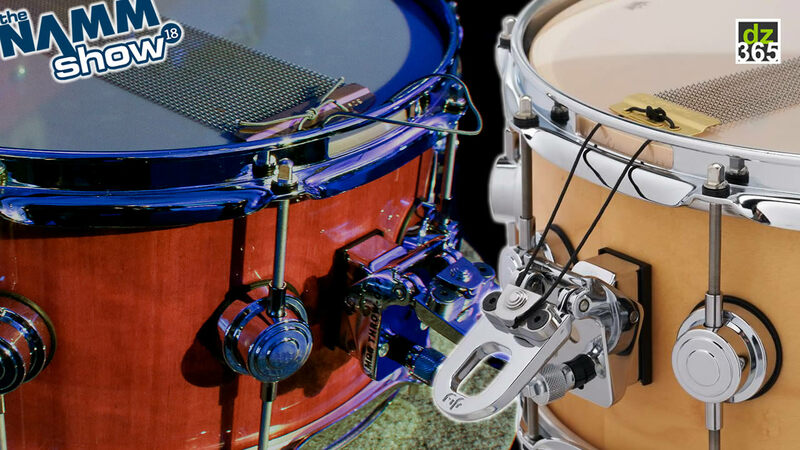 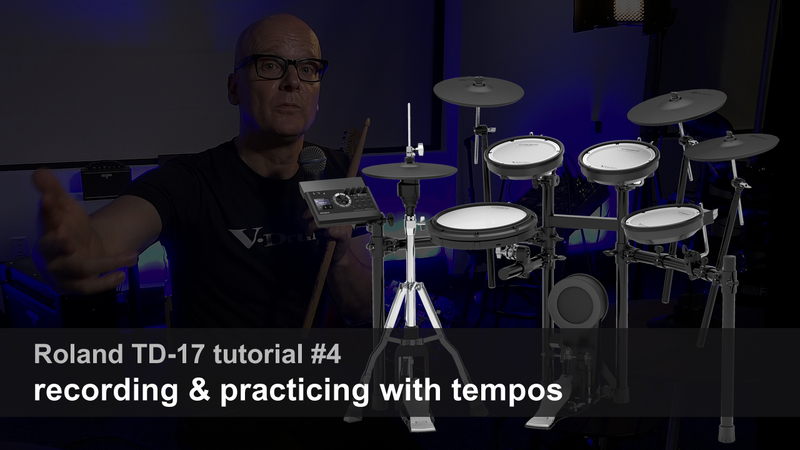 Created by Robert Dethier, Insolita was inspired by the music of World Beat and features a mix of percussion, drums and special effects. 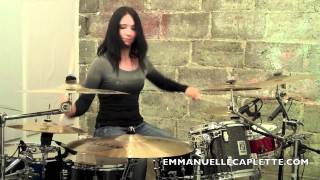 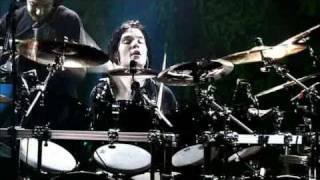 Emmanuelle��s career got a boost in 2007, when she got the opportunity to play drums on television shows and go on several tours with pop artists in Quebec. 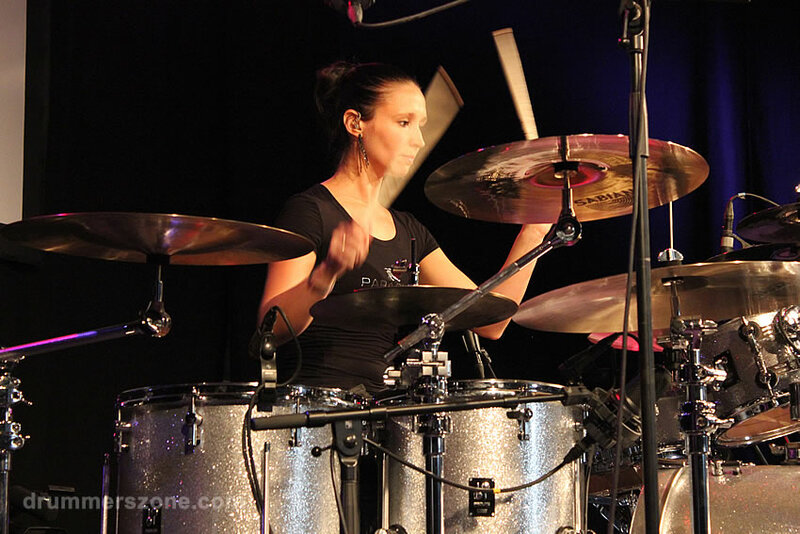 She participated two years in a row at the ��Gala des Jutras��, and was featured playing drums on the main stage of Quebec��s National Day (St�Jean�Baptiste) celebration. 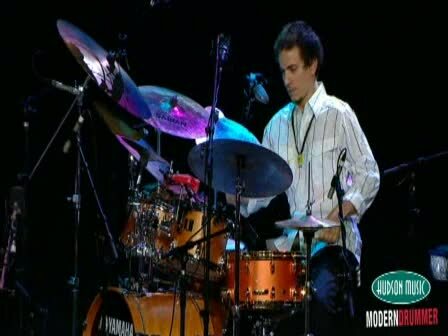 The host was NORMAND BRATHWAITE. 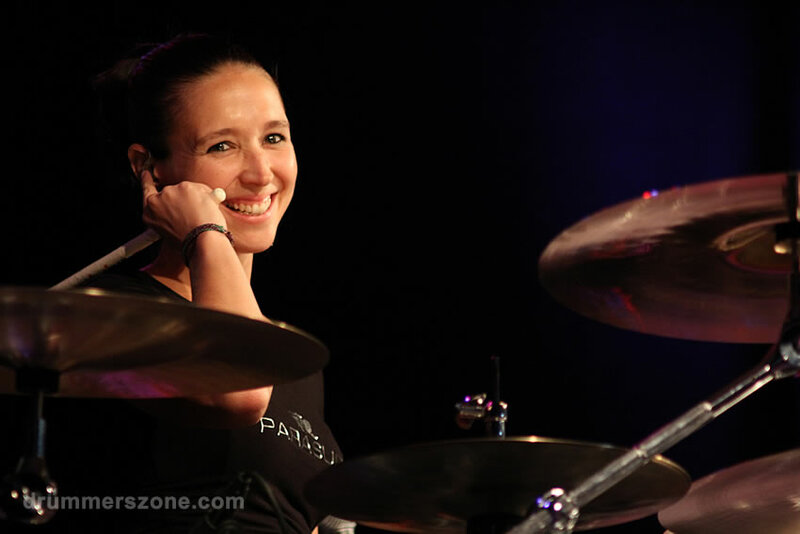 The same year she went on tour with IMA (Smile) and MARILOU (Tout simplement). 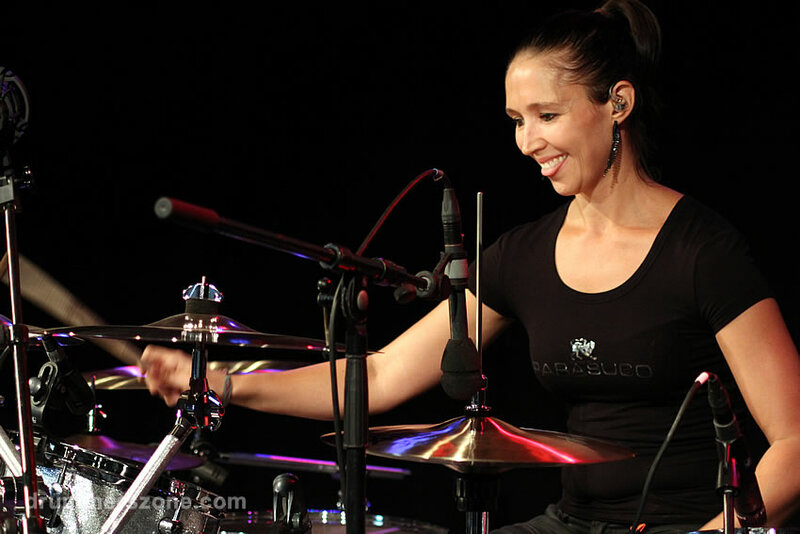 In 2008 Emmanuelle was hired to perform regularly on a new children��s television show with Annie Brocolie called: ��the Broco show�� on Radio Canada. 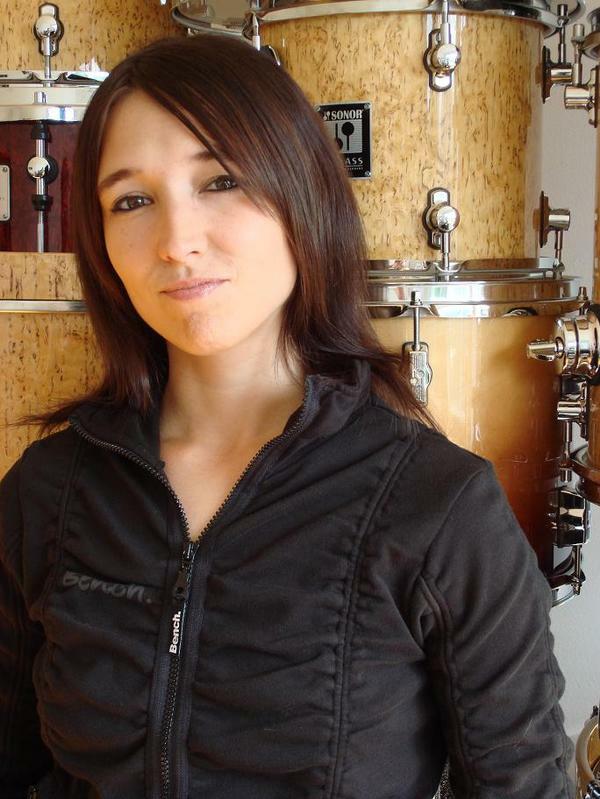 Emmanuelle's performance opportunities led her to meet extraordinary people like producer Guy Tourville, who gave her the chance of a lifetime to record her first two singles to go to radio, ��Une fois pour toutes�� from Chantal Toupin and ��Tu ne m��aimeras plus�� from Cindy Daniel. 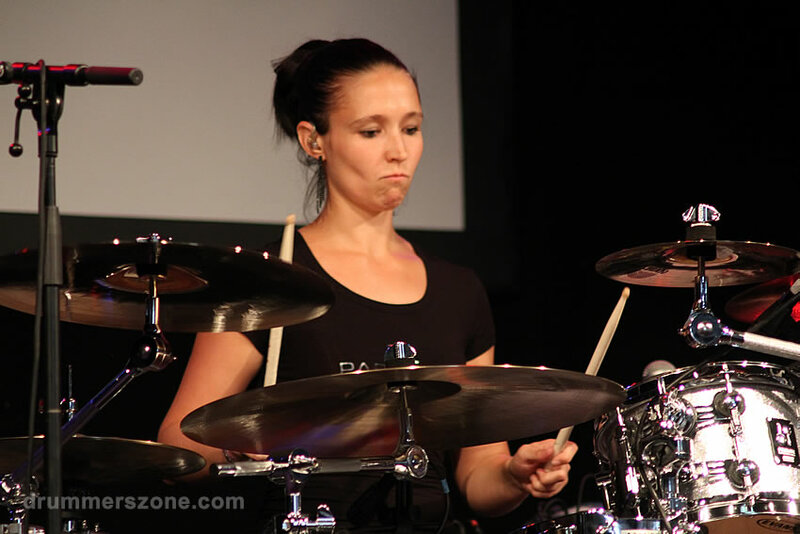 She then recorded the entire album of the Broco show. 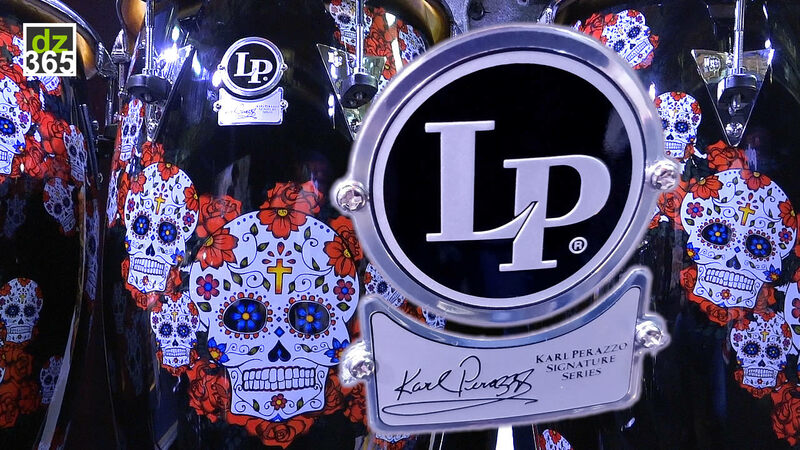 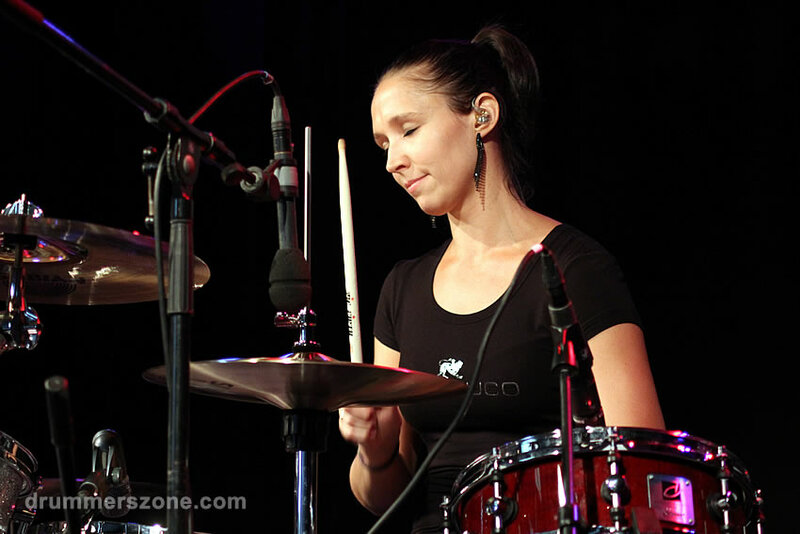 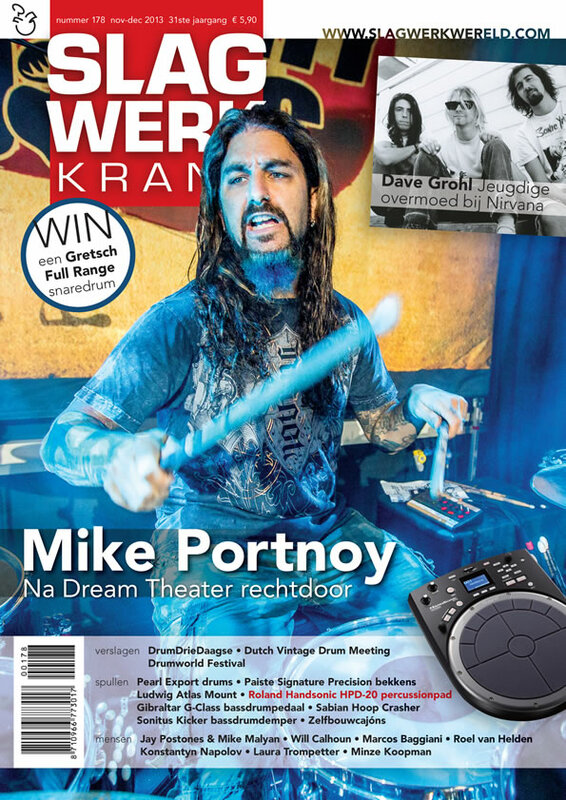 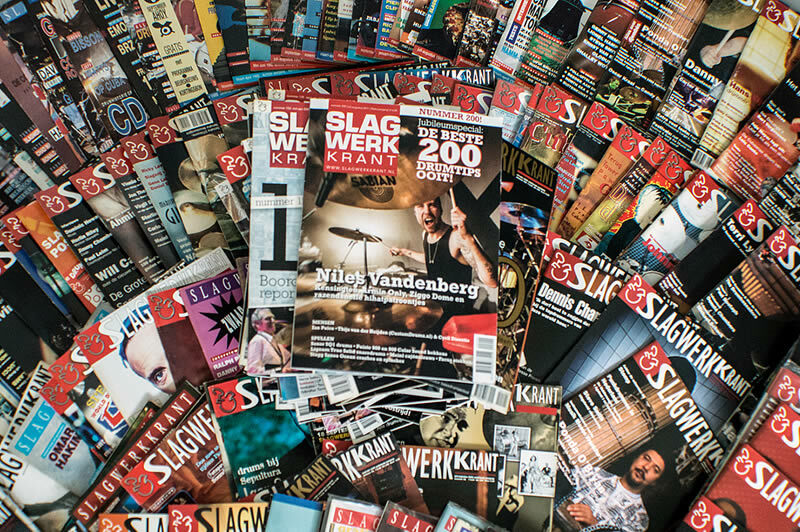 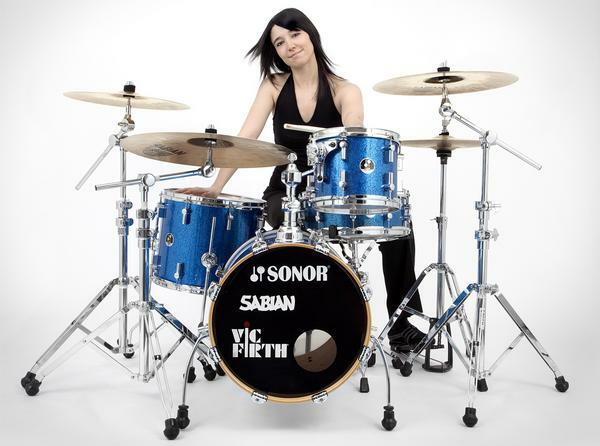 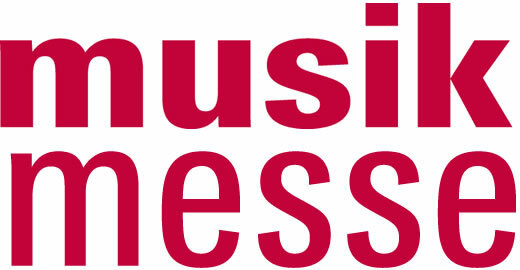 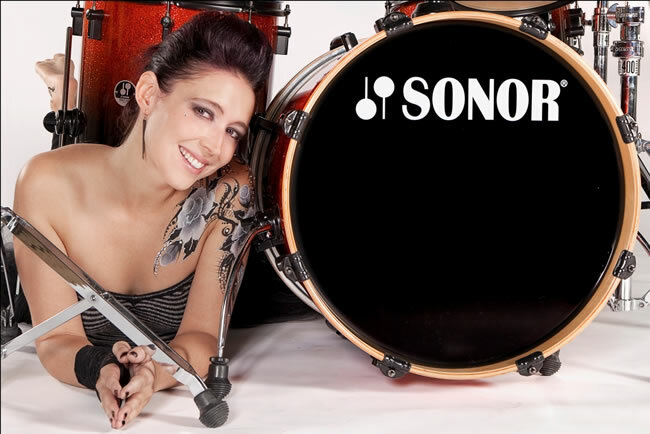 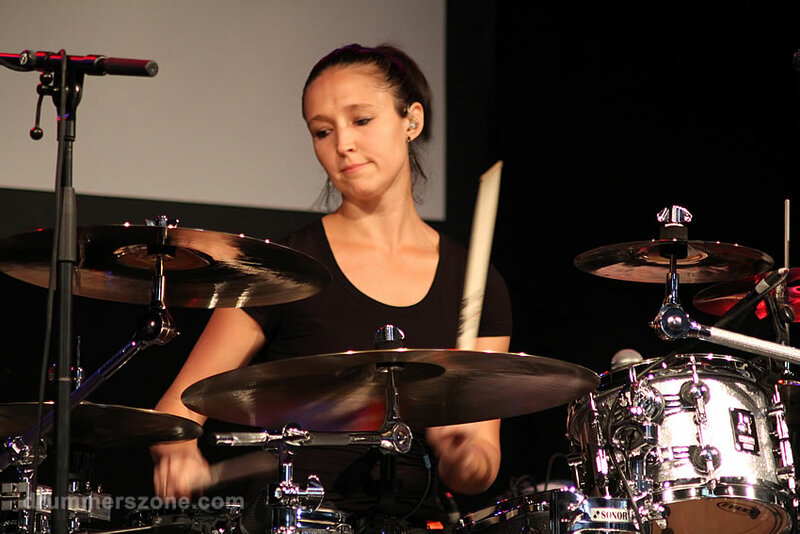 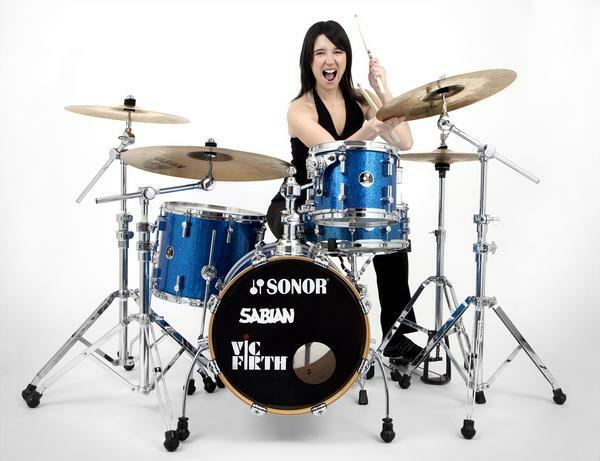 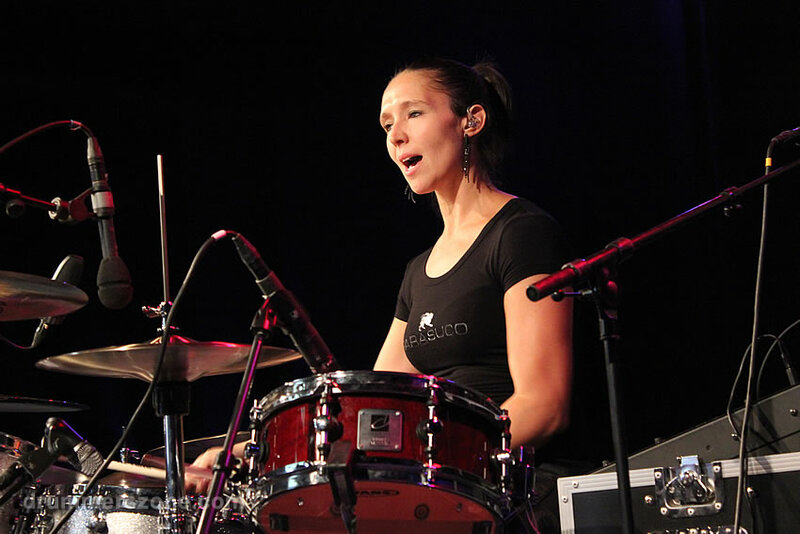 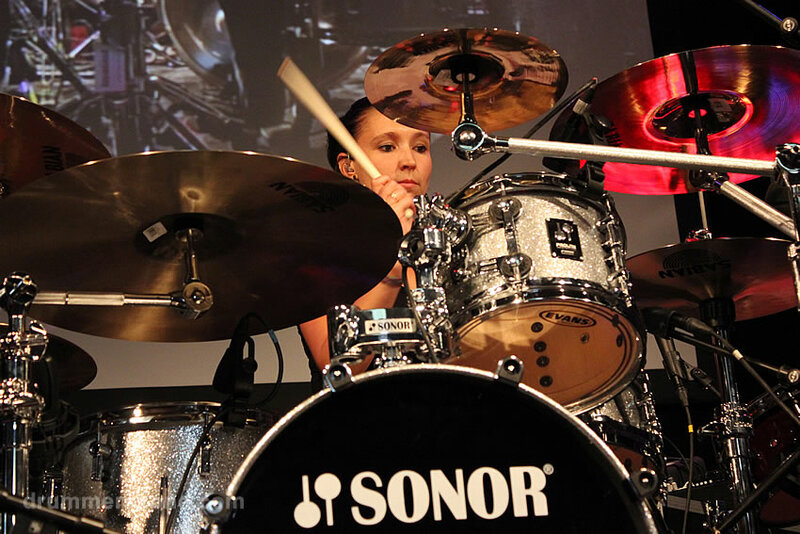 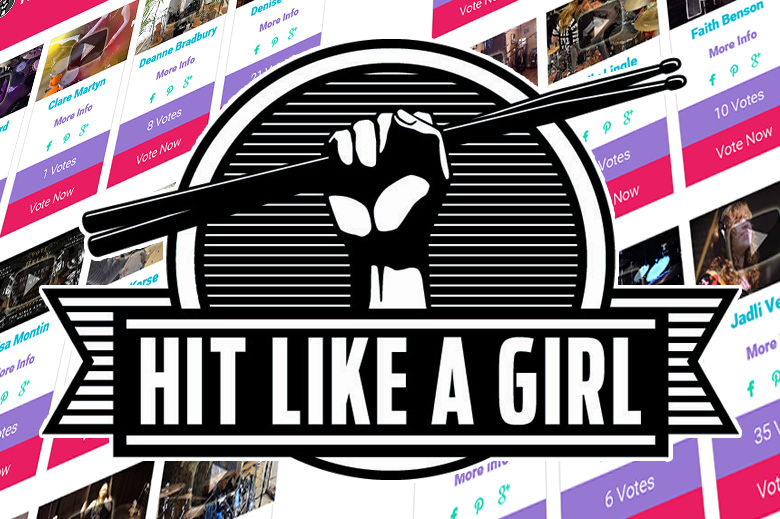 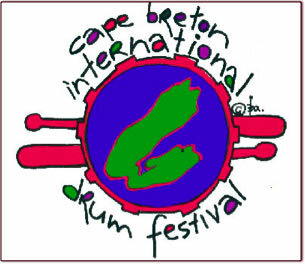 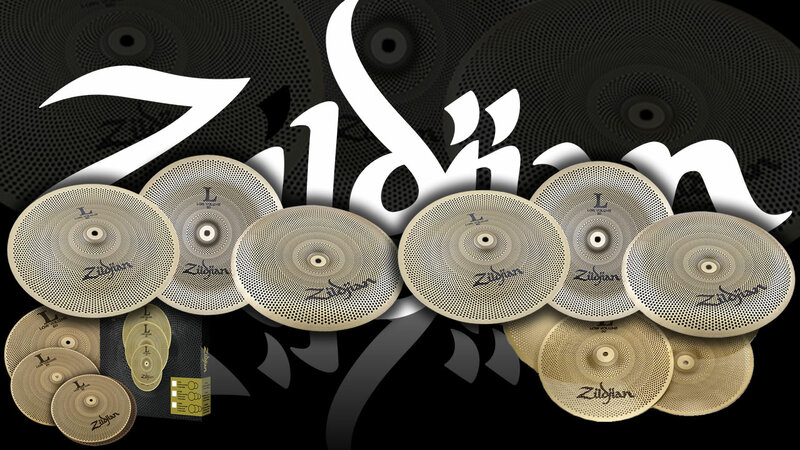 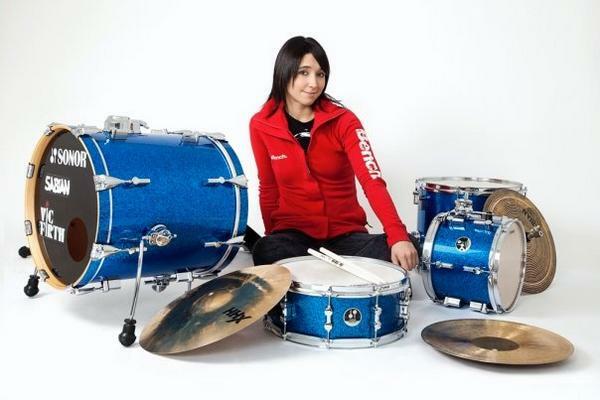 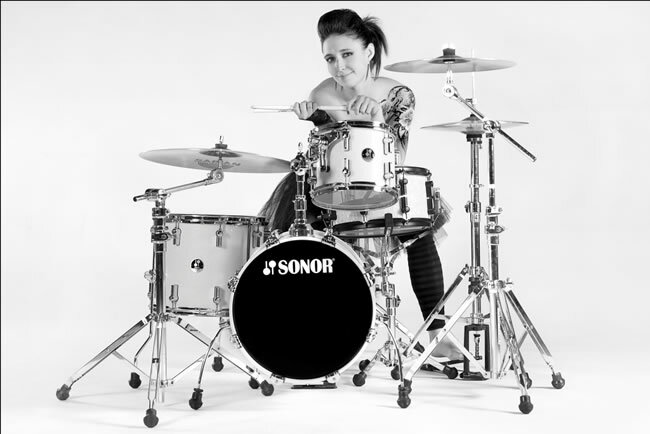 In recent years, she has appeared at several drum festivals including the Cape Breton International Drum Festival, the Montreal DrumFest, the Winnipeg DrumTalk Festival, as well as many clinics in schools and with her sponsor companies in several parts of Canada.